MY BLACK & WHITE ESSENTIAL - So this is my black and white detail that I actually wore in my last night at private beach club night, WOOBAR W Hotel Bali. I love terms night more than party, but everything I got including these new in accessories was accident, never been my intention to make it black & white, but all I have got in fact complements each other. How I love my spring croco textured leather shoes by Pedro that I have purchased less than 200K IDR (so best deal ever for shoes), did not even spent my money for very sleek and simple Guess watch (if you know what I mean), and Le Spec Runways white coconut frame with mirror shade that I bought from my Canggu trip to Temple of Enthusiasm, Dues Ex Machina, because I'm planning my next trip to Ujung Kulon :))) can not wait to feel and back to fresh air and cry with all nature happiness. 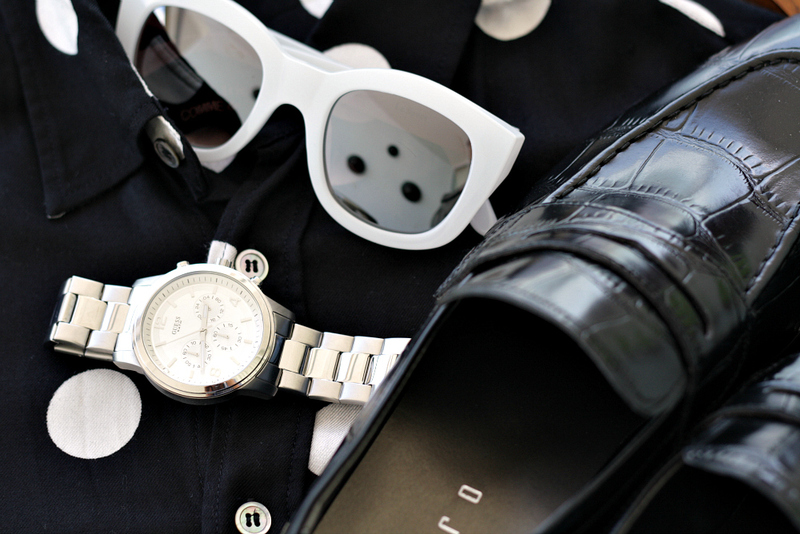 a big fan of the comme des garçon and the mod-kind-of-feeling shade! Black and white is my favorite color combination. Something so chic and sophisticated about it. Amazing! 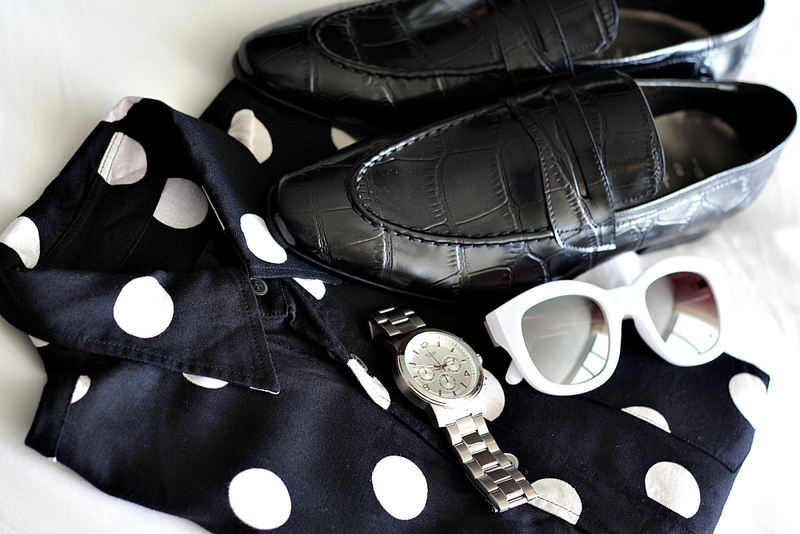 wow wonderful things ... i'm a big fan of dot pants and these sunnies. wow loveee your shirt ! !